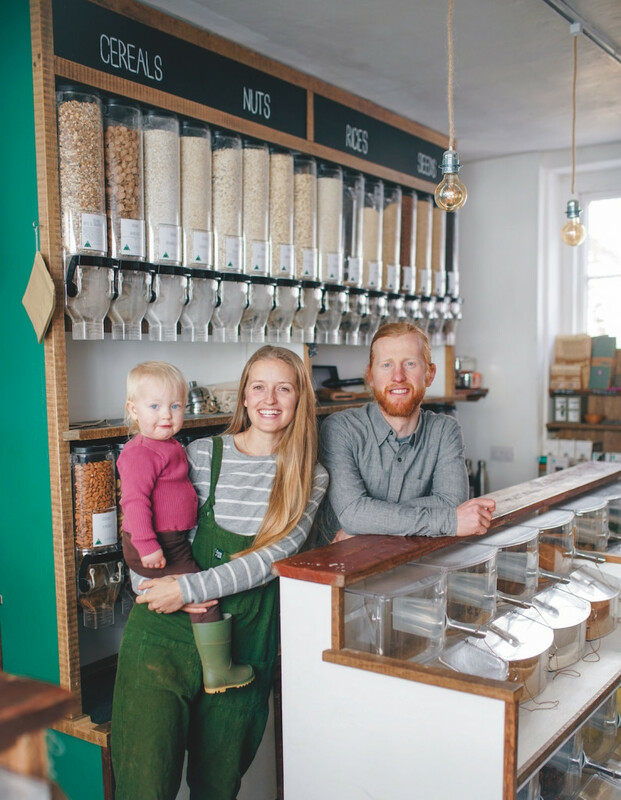 Free from packaging, adverts and robotic beeping tills, Earth.Food.Love offers a decidedly retro experience – but its owners think this is the future of shopping. Their daughter – Willow, now 21 months – had just arrived, which made them re-evaluate things. 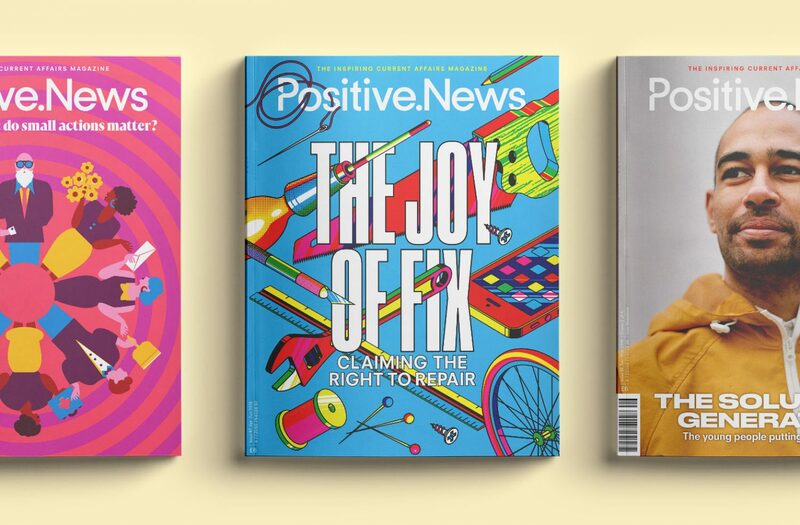 “We wanted to feel proud of what we were doing,” says Nicola. “We wanted to do something towards a more sustainable future for Willow and future generations,” adds Richard. They settled in Totnes, a Devonshire town with a greenfriendly reputation, on a hunch that locals would be receptive to the idea. And in March 2017, Earth.Food.Love opened its doors. 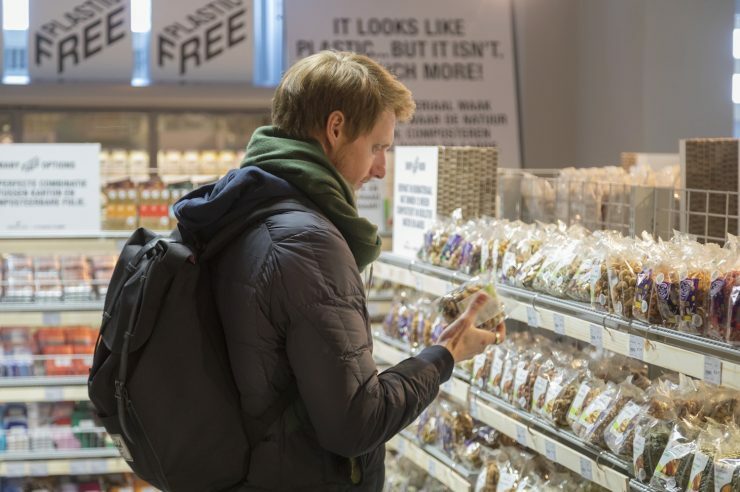 Its 200 or so products are all vegan, organic and packaging-free, and customers are encouraged to bring their own containers, which are weighed before being filled. 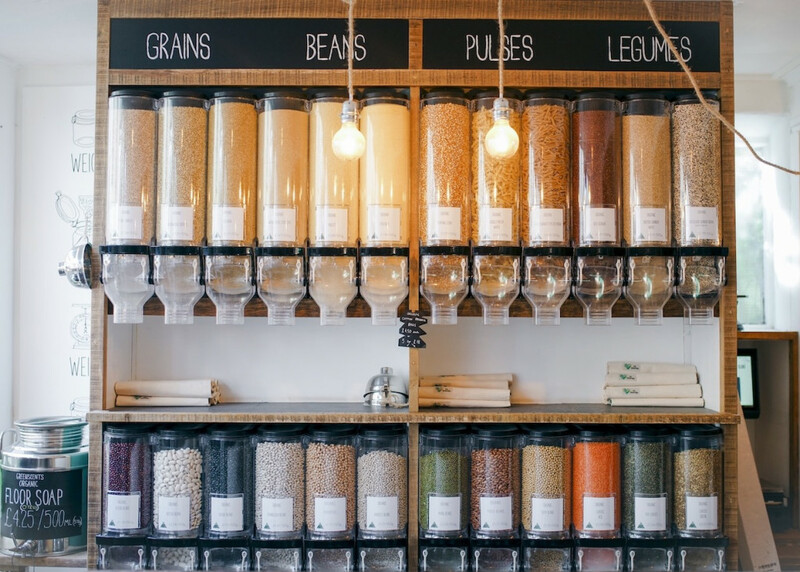 The shop sells mostly food but also products such as bamboo cutlery, canvas bags, wooden toothbrushes and mason jars. 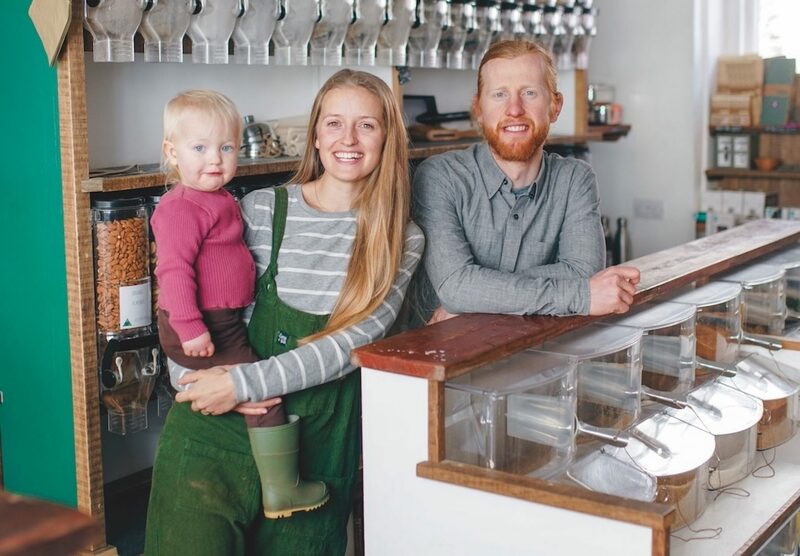 Outside the Totnes bubble though, or the clean-living Instagram version come to that, is zero waste really attainable? 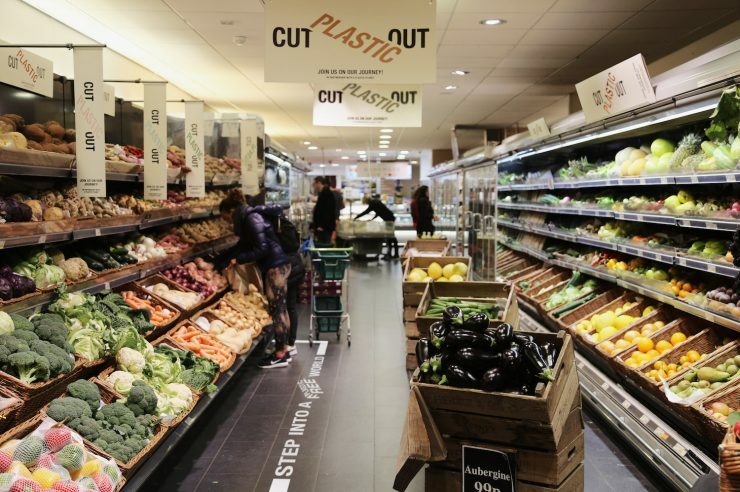 The Eckersleys are well aware that, in many areas, people have very little choice but to buy plastic-covered produce. And they are emphatic that ordinary people should not have to carry the packaging burden alone. 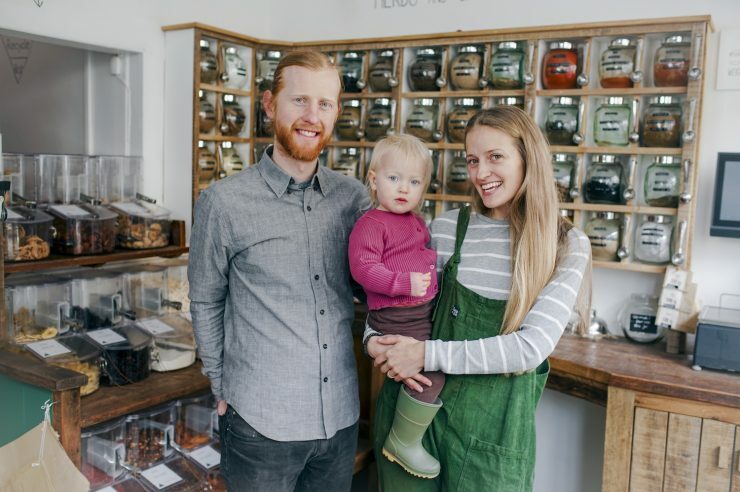 Business is booming, say the couple, and they have been inundated with requests from people who want to launch their own zero-waste shops. They have uploaded a free pdf containing guidelines to their website to help.